Ceriatone produces one of the world's finest tributes to the iconic Bad Cat guitar amplifier, the Hot Cat 30. 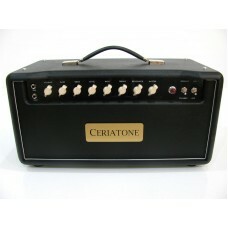 This is Ceriatone's tribute to the Bad Cat Hot Cat 30 amplifier. The Ceriatone Stray Cat is an amazi..